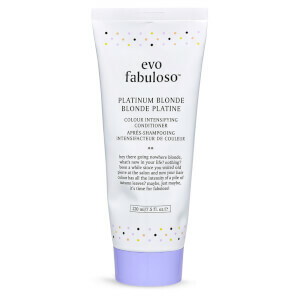 Specially formulated for blonde, highlighted, bleached and gray hair, Joico Color Endure Violet Conditioner (300ml) helps to neutralise unwanted yellow or brassy tones with a high level of violet dye. As well as correcting the tone of your locks and enhancing vibrancy, this gentle conditioner effectively detangles, leaving it smooth, soft and knot-free. Your hair will be left looking brighter and feeling stronger, as well as being protected against environmental and physical damage. Squeeze out excess water and smooth through lengths and ends.